5 Ways Network Architects Have Overcome Signalling Interconnect Challenges. Todays network architect has an unenviable set of targets. Manage the constantly evolving rollout of new technology, support existing infrastructure and customers while driving down complexity and costs and of course not forgetting the seamless rollout of new services. To help solve todays demanding interconnect challenges and achieve these goals the network manager needs flexible tools at their disposal. Squire Technologies Service Creation Toolkit, delivered alongside their carrier grade STP product, is just one such tool. 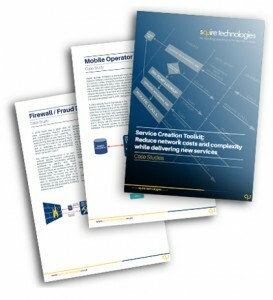 Take a look at 5 case studies illustrating how our clients have solved a variety of challenges whilst achieving real cost savings, network simplification and rollout of new services.